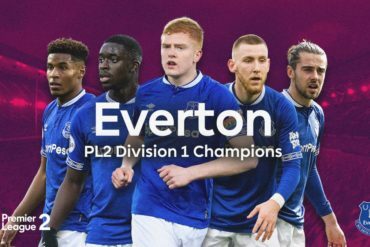 Everton have succumbed to a 1-0 loss against Villareal in our final pre-season game before the big kick off in the Premier League, thanks to a free-kick from Giuseppe Rossi. Improvement was there to be seen from the poor performance against Werder Bremen; however a bad injury to Seamus Coleman combined with multiple substitutions in the second half killed the game dead with the game already won for the visiting Spaniards. 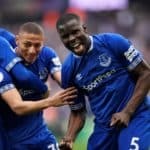 David Moyes opted to start with the promising 17 year old midfielder Ross Barkley in the heart of midfield with the returning Marouane Fellaini and Jack Rodwell, which worked well early on with the Spaniards struggling to get a foothold in the middle of the pitch. Seamus Coleman had a good chance early on as he galloped down the right flank and forced a good stop from ´keeper Diego Lopez. 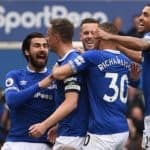 Barkley began to command the game in the middle with Fellaini playing well in a holding midfielder role, and it was the teenager who orchestrated Evertons best chance of the half as he fed in Saha, who interchanged with Baines before firing a low effort at goal which was fingertipped wide. 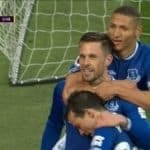 The talking point of the first half however was a sickening tackle on Seamus Coleman from Marchena which left the Irishman on crutches, and dampened spirits around the ground heading into half time. Straight from the kick off in the second half, Leighton Baines produced a moment of magic, switching passes with Saha and forcing a good save from Diego Lopez. 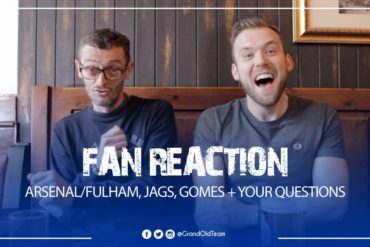 However, Everton faded badly from then on in, with the winner coming via an excellently executed free-kick from ex-Manchester United man Giuseppe Rossi, given away by a lunging tackle from Sylvain Distin. 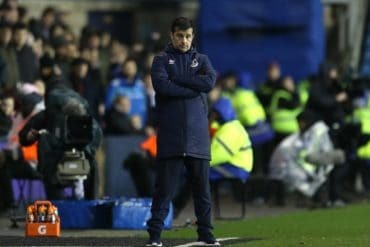 The midfield looked good, the defence solid… however, Everton still lacked a cutting edge up front and Evertonians will hope David Moyes can add to his attacking options before the close of the transfer window.